and is now EVEN BIGGER! 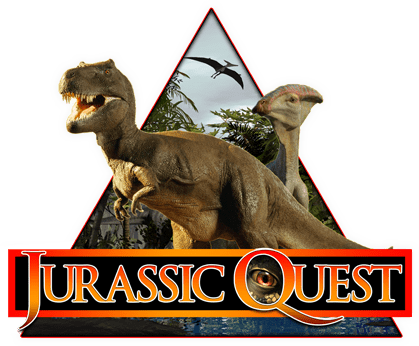 Jurassic Quest is Americas Largest and most realistic Dinosaur Event. Our guests will walk through the Cretaceous period, the Jurassic Period and The Triassic period and experience for themselves what it was like to be among living, breathing dinosaurs. Jurassic Quest is the only Dinosaur event that has true to life size dinosaurs. From the very small, to the gigantic, sky-scraping dinosaurs that can only be seen at Jurassic Quest events. Jurassic Quest has over 80 true to life size dinosaurs in each of it's 2 events. In collaboration with leading paleontologists, each one was painstakingly replicated in every detail. Whether their prehistoric counterpart had skin that was scaly, had feathers or fur, Jurassic Quest has spared no expense in bringing this realism to life.